Achieving nutritional balance in the body is essential in preventing disease. The types of food that we eat and their combination can impact our health and well-being. A great percentage of chronic disease symptoms are directly related to irregular or improper food intake. For example, sugar and fat will increase problems in diabetics. In the case of arthritis and joint inflammation, dark shade vegetables should not be ingested. This includes eggplant, potatoes, and green peppers. The practitioner will suggest dietary food changes and perhaps detoxification and elimination diets, reinforcing and tonifying the organs' and glands' ability to improve function. In the philosophy of Oriental Medicine, food is meant to support and regulate bodily functions. Nutrition is very specific to the individual's overall condition, not just the symptoms of a particular disorder. Direct consultation with the practitioner is recommended for this reason. In Chinese Medicine foods are grouped into four categories: cold, hot, cooling, and warming. They are also classified according to their benefits and harmful effects on each of the internal organs and channels. Unlike the concept of nutrition in Western Medicine, Traditional Chinese Medicine looks at more than the nutritional value of each food. For example, Western Nutritionists will look at the ingredients of foods such as fat, sodium, sugar, protein and fiber before recommending a diet regimen to address a particular condition such as diabetes or obesity. 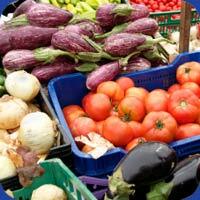 Oriental nutritional therapy also takes into account the nature and quality of food products. For example, "How and where the food was grown? ", "Were pesticides used? ", and "What is the shelf-life?" Oriental nutrition therapy looks at how the food will affect the flow of Qi. Does a particular food product have warming or cooling characteristics? Is it moistening, drying, astringent, or purgative? In Oriental medicine, observations are made based upon the way that the food impacts the body after they are eaten, both dramatically and subtly. Does it affect metabolism, emotions, and organs? Does it aid in the healing of one part of the body but produce a negative effect on other parts? For example, a food product may be good in the treatment of water retention but may also cause diarrhea. A Traditional Oriental practitioner will prescribe diets according to the stage and quality of a disease.